Satisfy every taste amidst the unique culture of Riverside. From hip and trendy to upscale and swanky, the culinary arts are an important part of Riverside’s flavor. And if you have the appetite, treat your taste buds to enticing fusion cuisine, blending traditional West Coast flavors with influences from around the world. Casual or classy, private dining or al fresco, dining experiences are diverse and always delicious in Riverside. Whether you are planning intimate gatherings in quiet dining rooms or lively celebrations with large groups, you will discover a variety of restaurants with spacious seating and crowd-pleasing menus. From family-owned eateries to award-winning steakhouses, fresh and locally grown ingredients are transformed daily into exquisite dishes found only in this region. With so many distinctive menu features from a variety of eateries, you are sure to find a restaurant to satisfy every appetite. 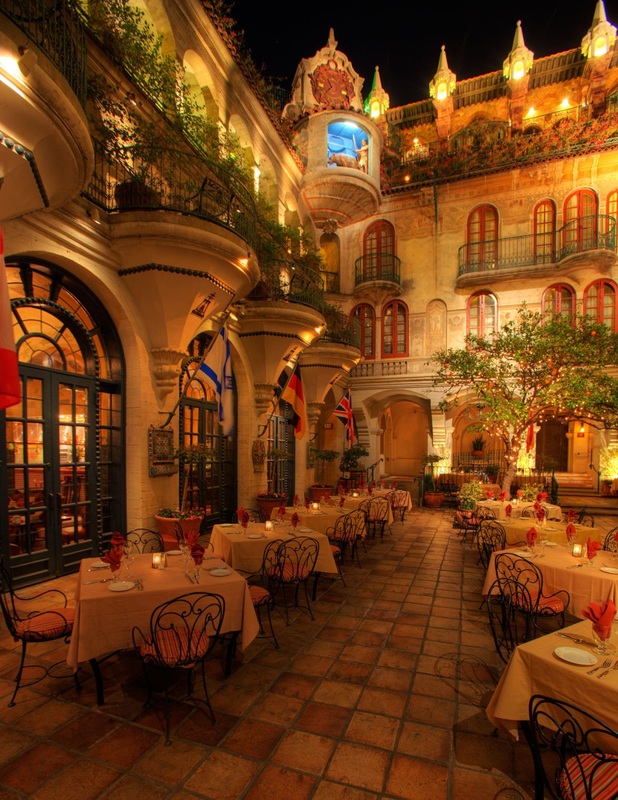 Impress your guests with upscale options, from open-air fine dining at The Mission Inn Restaurant to foodie-friendly gastro-pubs like The Salted Pig. Reserve an exclusive room at Mario’s Place or at one of Riverside’s newest eating establishments, ProAbition. Get a taste of true California culture under the sun and in the romantic moonlight on outdoor patios at Las Campanas, Bella Trattoria, or the spacious Café Sevilla. If you are craving some comfort food, it is right outside your door at neighborhood spots like the Tamale Factory, the Old Spaghetti Factory, and Tio’s Tacos – recently featured in the LA Times. Savor every bite with some of Riverside’s most affordable choices like Applebee’s, Lake Alice Trading Co. Saloon & Eatery, Doña Timos La Cascada, and D Dogs. Satisfy your sweet tooth with a wide selection of handmade tarts, cakes, and cookies at Simple Simon’s Bakery & Bistro. Indulge in a glamorous gourmet treat at Casey’s Cupcakes – winner of Food Network’s Cupcake Wars. See our Business Directory for a full listing of the area’s best restaurants.